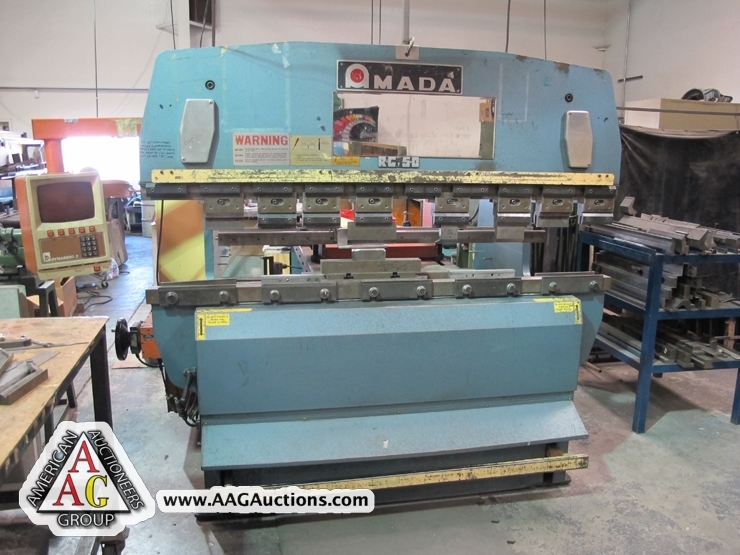 1984 AMADA PEGA 344Q CNC TURRET PUNCH, 33 TON, FANUC 6M CONTROL, THICK TURRET, 56 STATION, 40’’ X 40’’ TABLE, S/N P34407743. 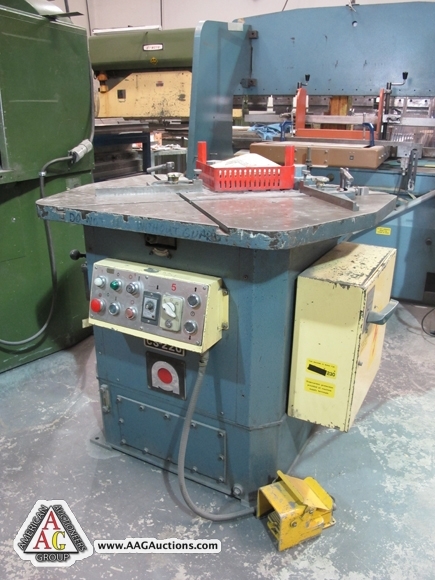 1984 AMADA PEGA 344Q CNC TURRET PUNCH, 33 TON, FANUC 6M CONTROL, THICK TURRET, 56 STATION, 40’’ X 40’’ TABLE, S/N AH440200. 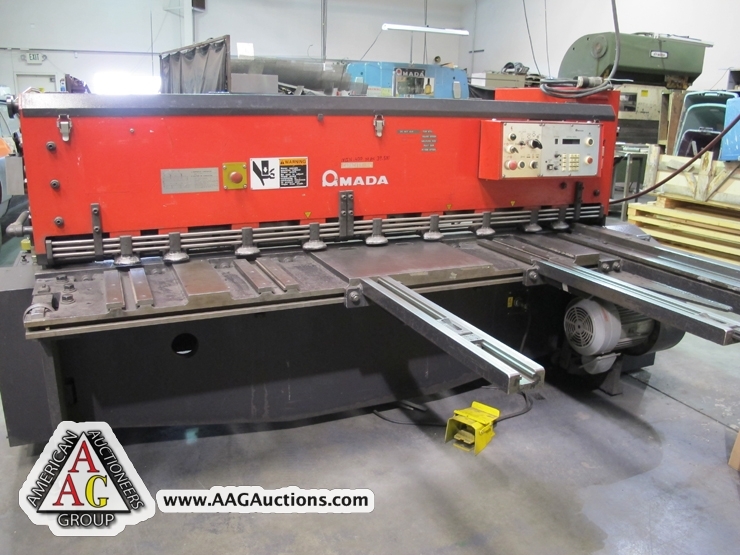 AMADA MODEL M2060, 6FT X .25’’ MECHANICAL POWER SHEAR, SQ ARM, CNC BACK GAGE, S/N 2060742. 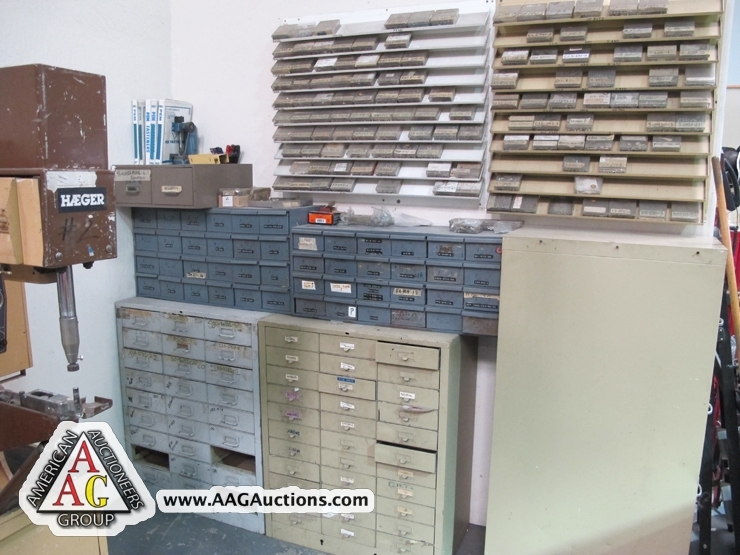 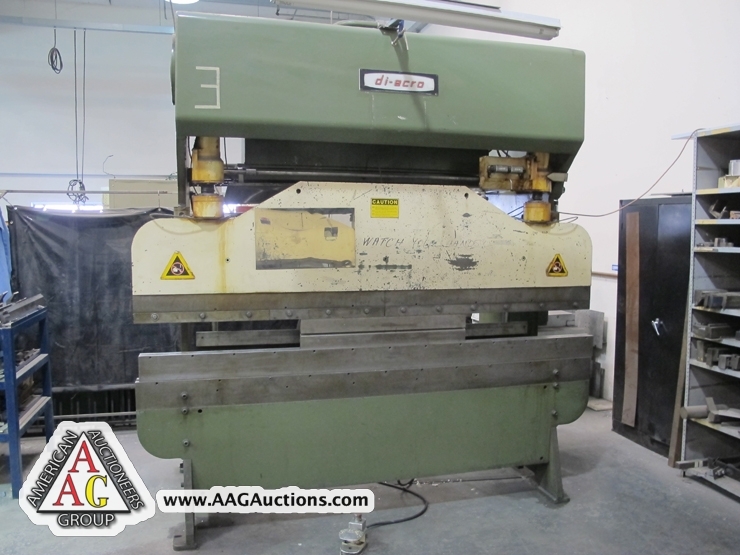 1984 AMADA RG-50 CNC PRESS BRAKE, 6FT X 55 TON, DYNABEND CNC BACK GAGE, S/N 504534. 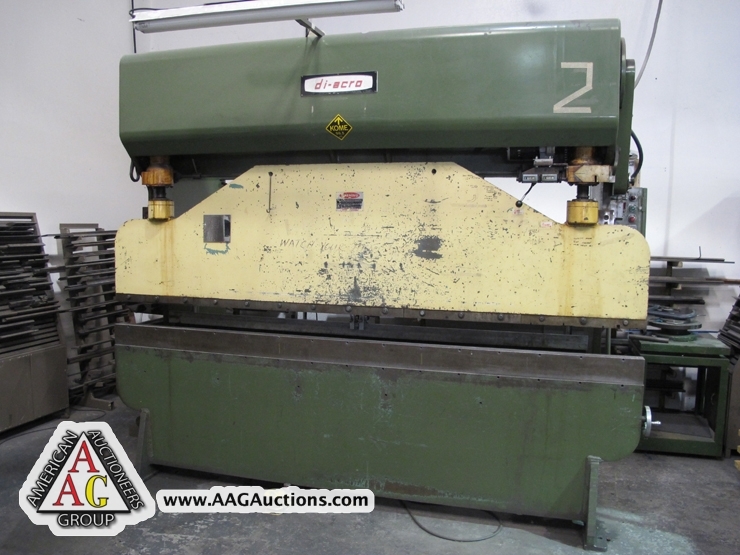 AMADA MODEL SC220, 10GA HYD POWER NOTCHER, S/N 545717. 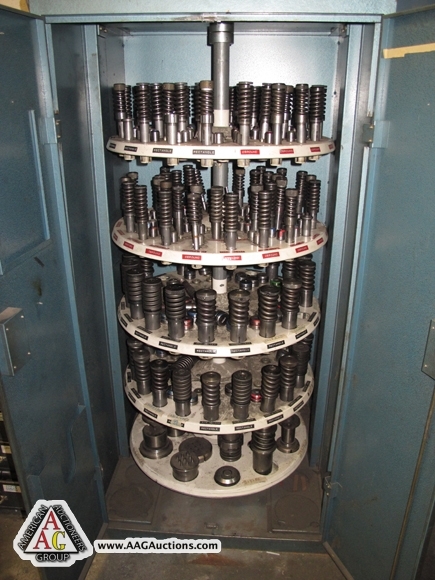 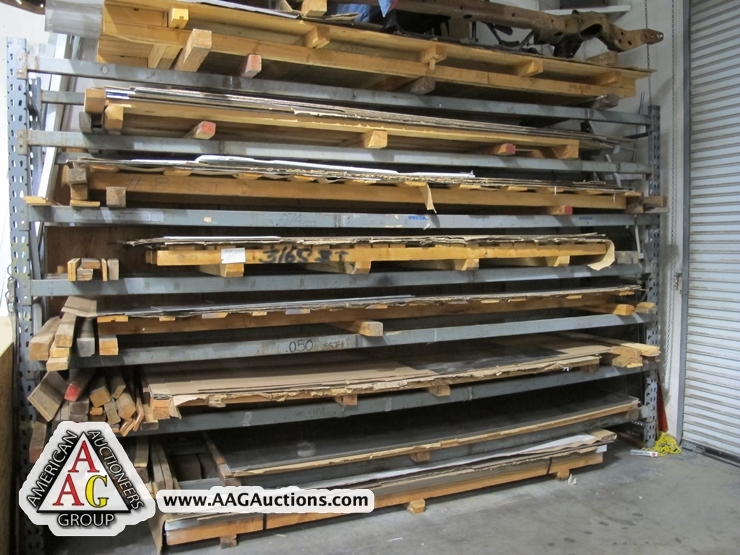 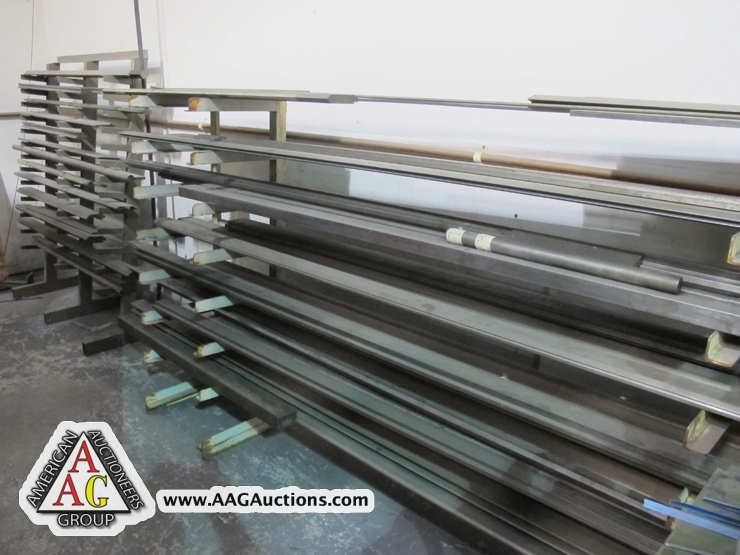 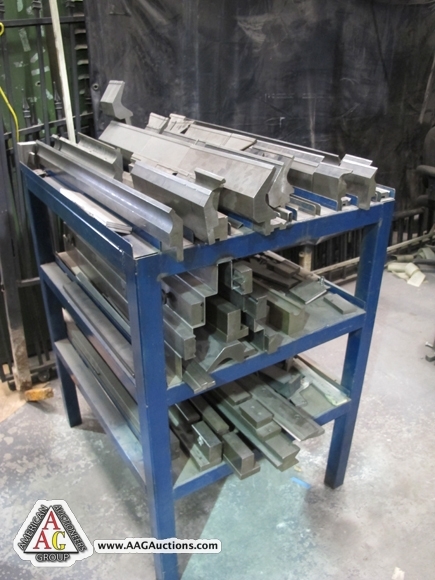 LARGE QUANTITY OF AMADA FORMING DIES. 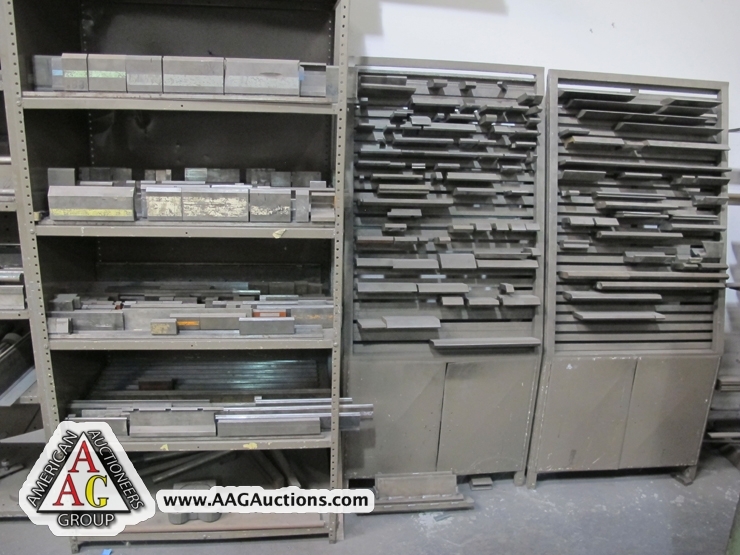 LARGE QUANTITY OF AMADA THICK TURRET PUNCHES AND DIES. 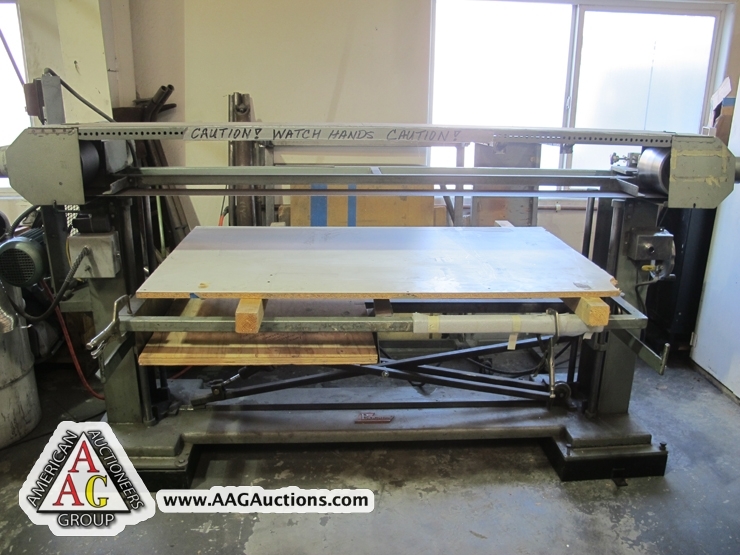 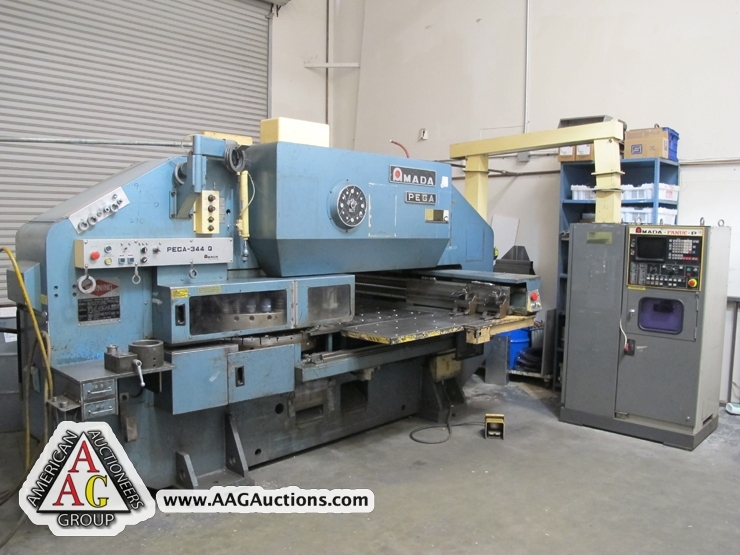 DIACRO MODEL 75-10, 10FT X 75 TON HYD PRESS BRAKE, W/ POWER RAM, MANUAL BACK GAGE, S/N JJ1189. 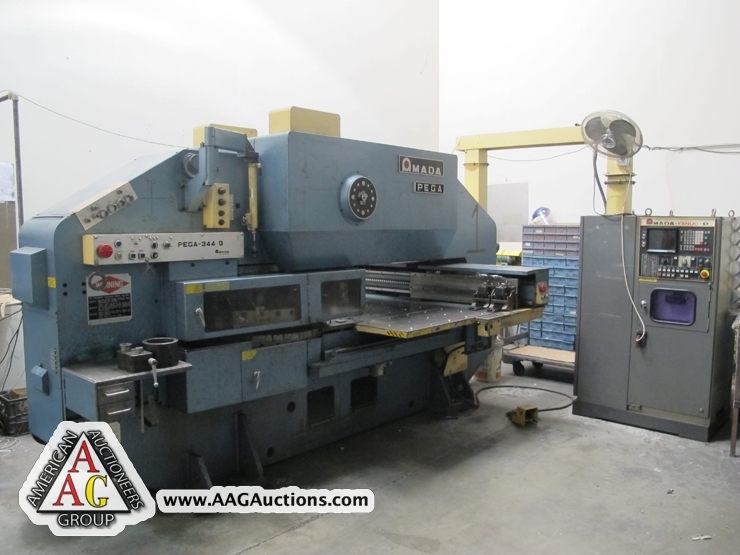 DIACRO MODEL 75-8, 8FT X 17 TON HYD PRESS BRAKE, WITH MANUAL BACK GAGE, S/N 657087687. 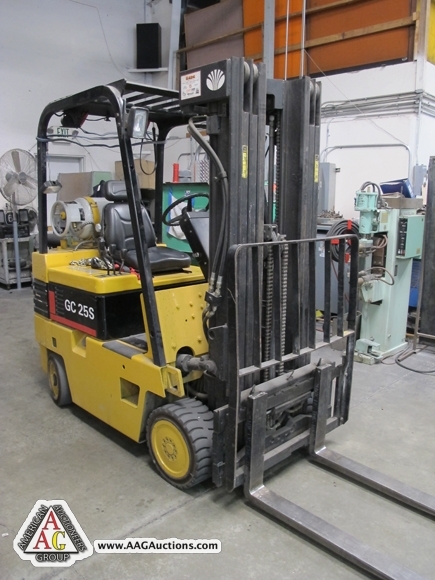 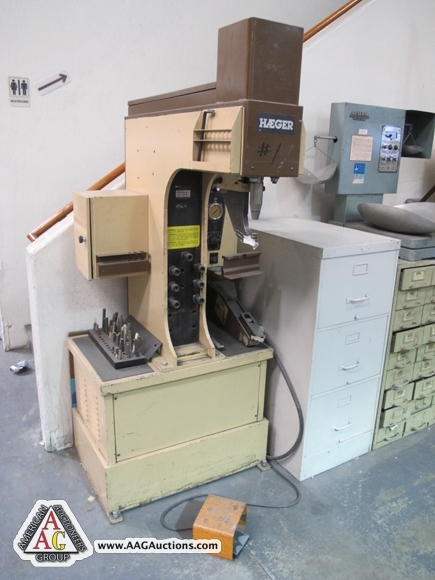 2) HAEGER HP6C, 6 TON HYD INSERTION PRESS. 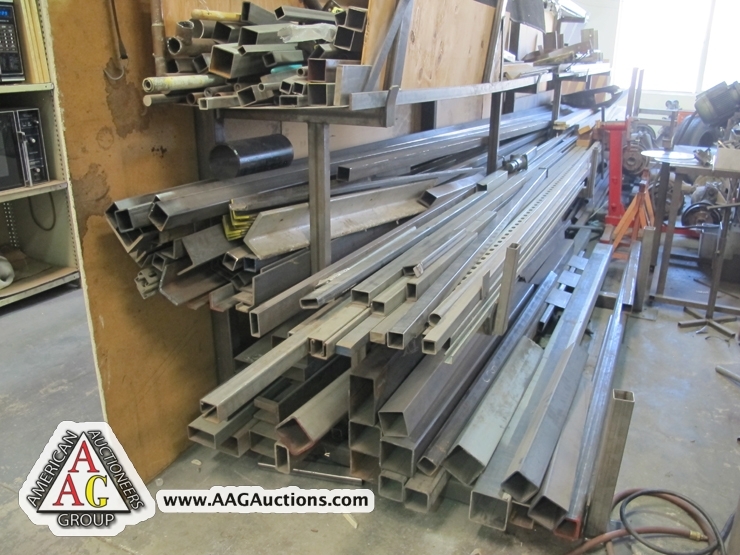 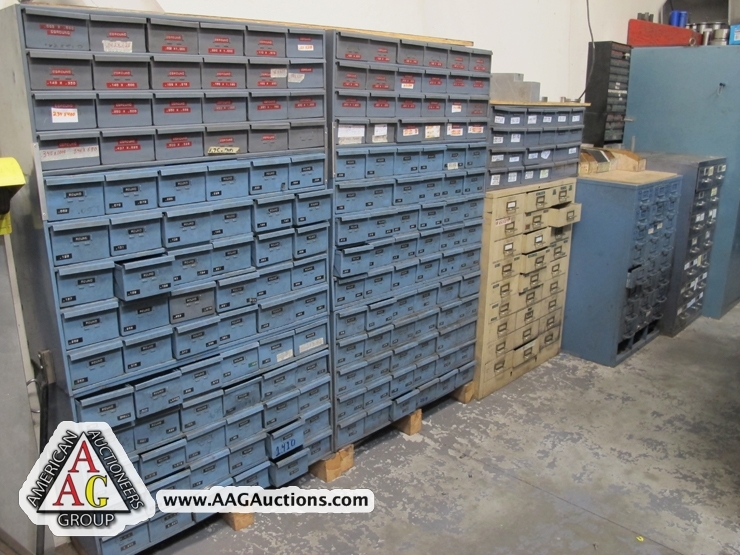 LARGE QUANTITY OF HAEGER HARDWARE AND TOOLING. 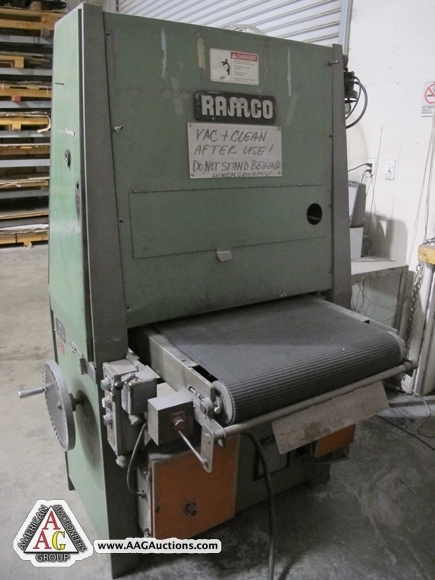 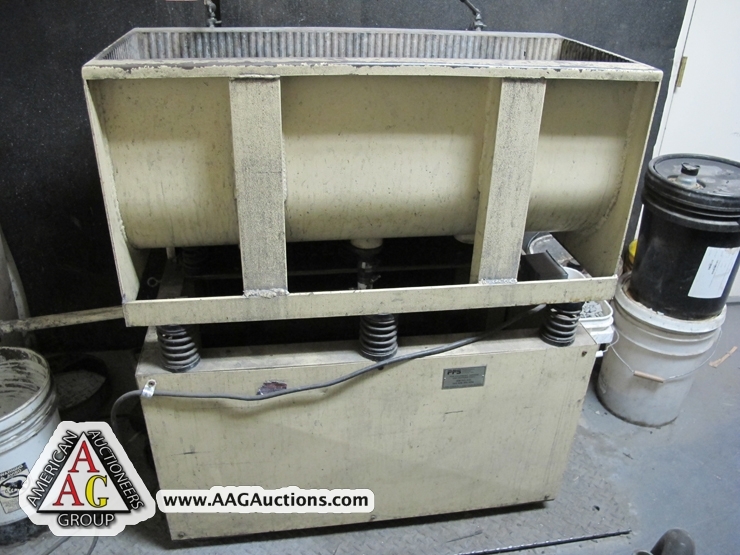 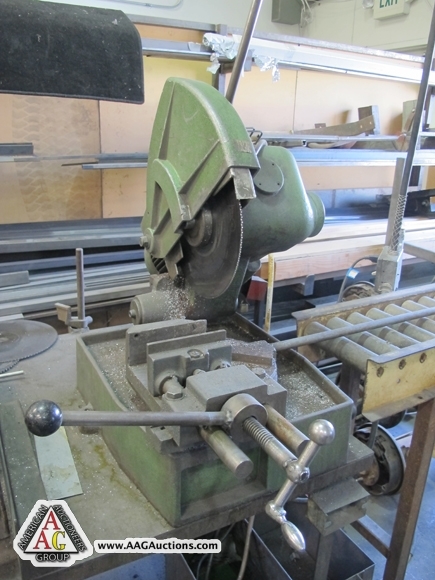 RAMCO MODEL 24, 24’’ WIDE BELT GRAINER, S/N 1010,24. 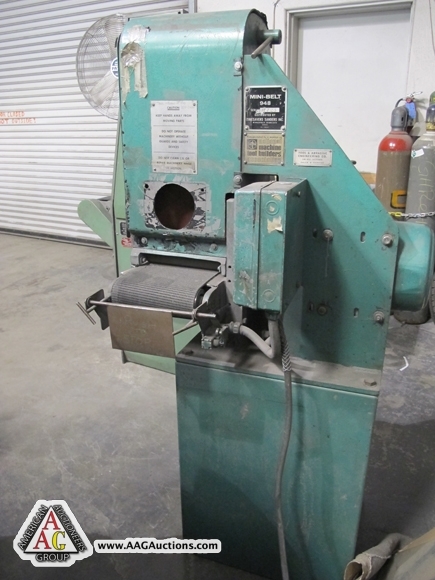 TIMESAVER 9’’ MINI WIDE BELT GRAINER, MODEL 948, S/N 7723. 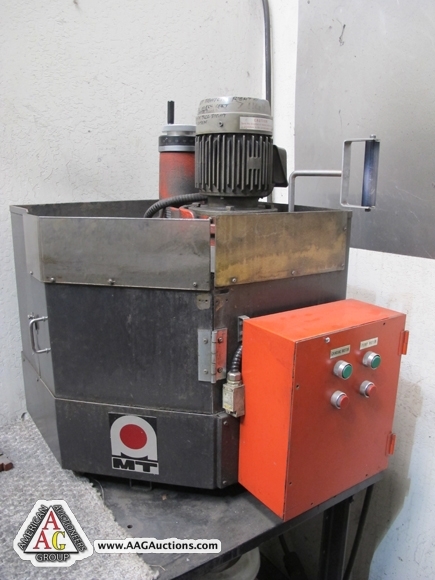 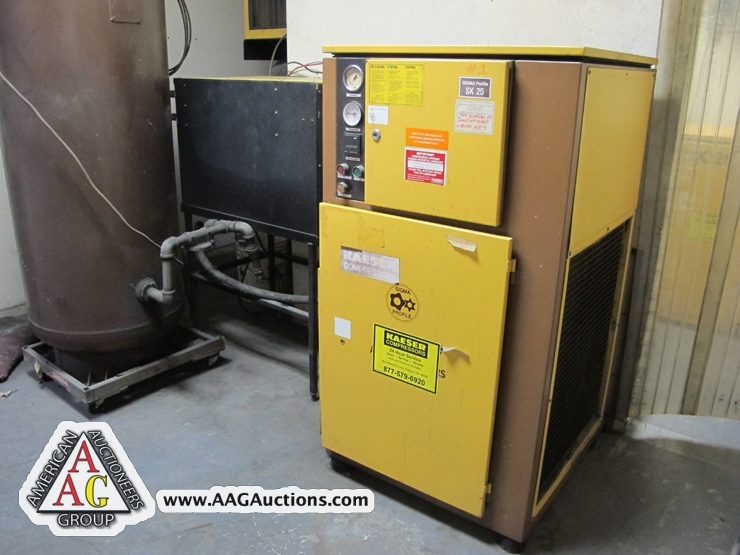 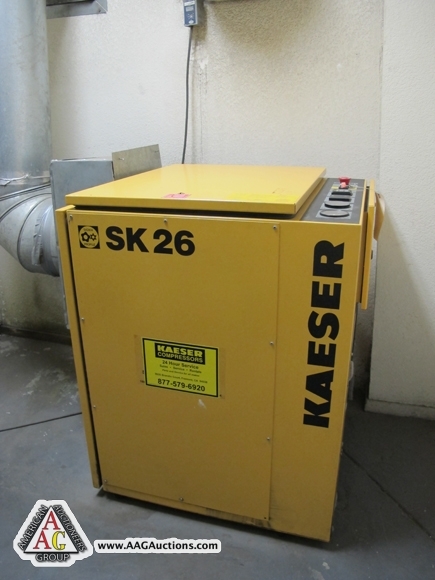 KIMURA 40 KVA SPOT WELDER, MODEL SW-408SA, S/N 63583. 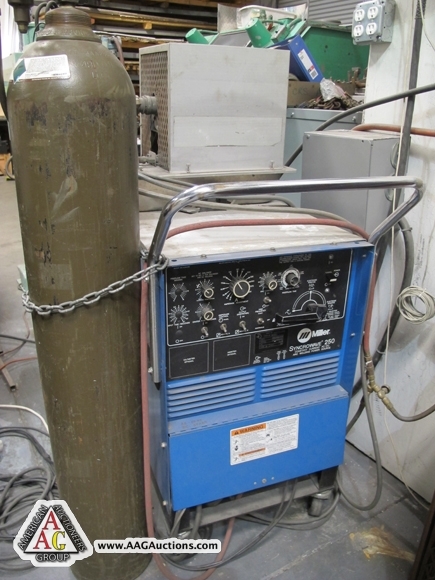 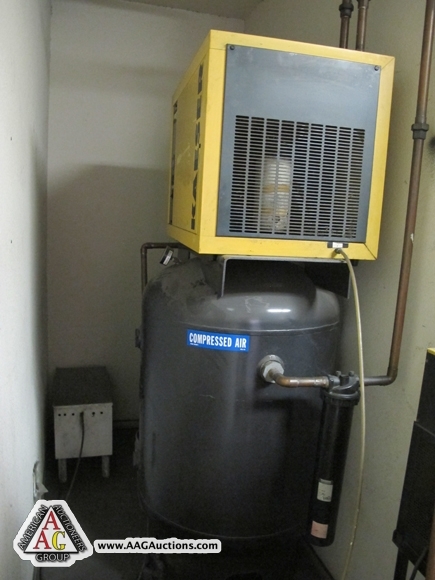 2) MILLER SYNCROWAVE 250 TIG WELDERS, 250 AMPS WITH BERNARD COOLERS. 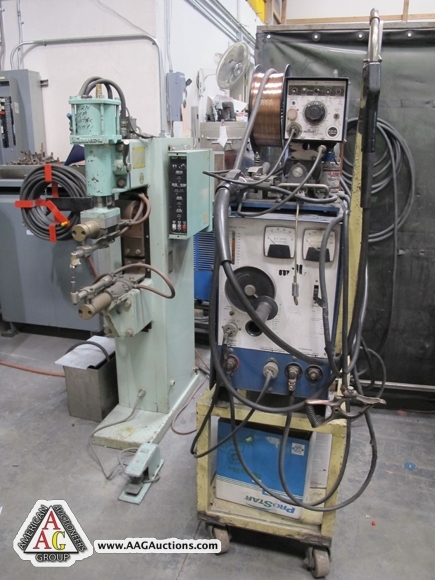 MILLER MIG WELDER AND SUPPORT. 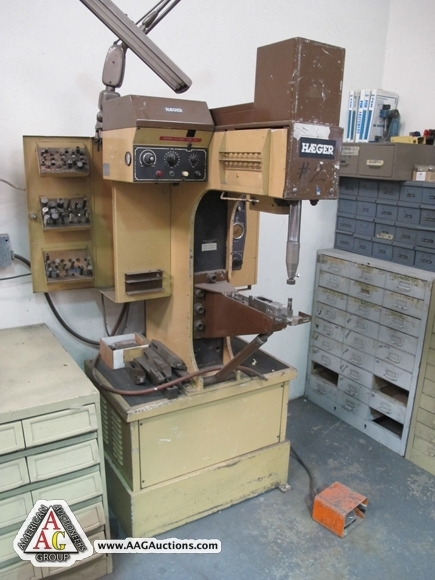 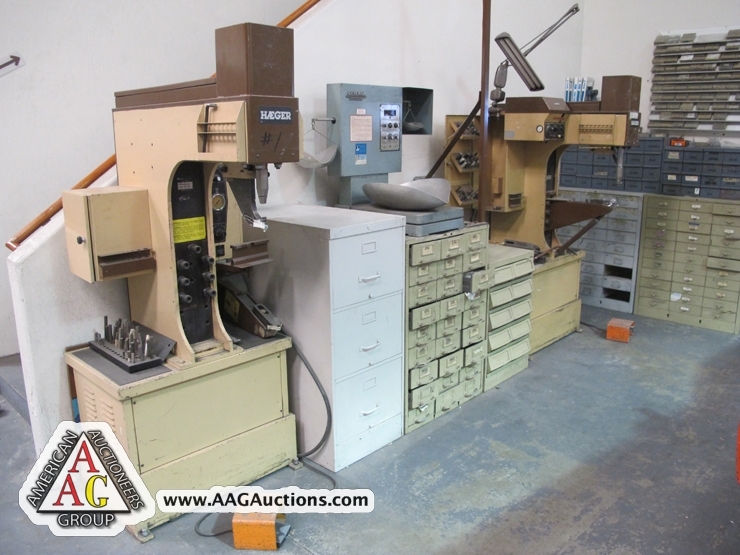 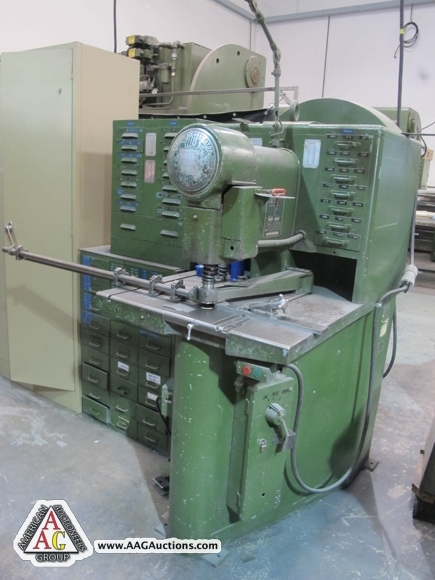 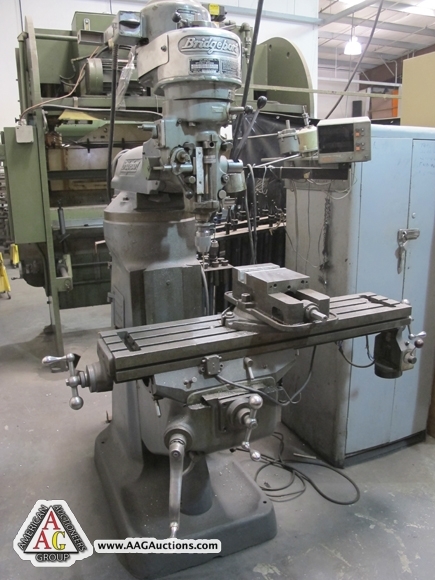 BRIDGEPORT VERTICAL MILLING MACHINE WITH DRO AND POWER FEED TABLE, J HEAD.